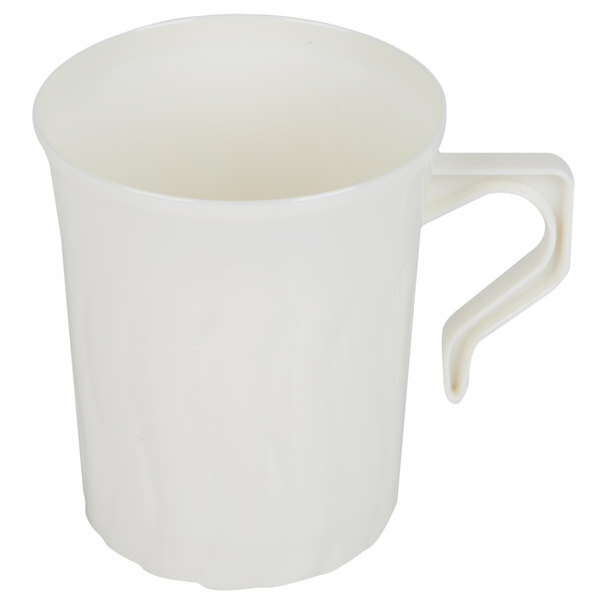 Great for large catering events, this this Fineline Flairware 208-BO 8 oz. 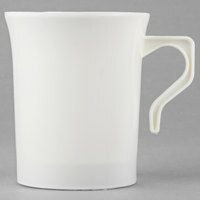 plastic coffee mug adds a valuable presentation element to any table setting! Subtly waving vertical lines and a unique ergonomic handle, add an extra level of style to this already stand-out product. 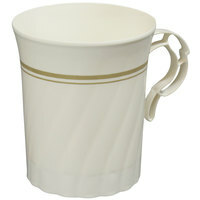 Perfect for serving coffee, tea, and more, this ivory 8 oz. 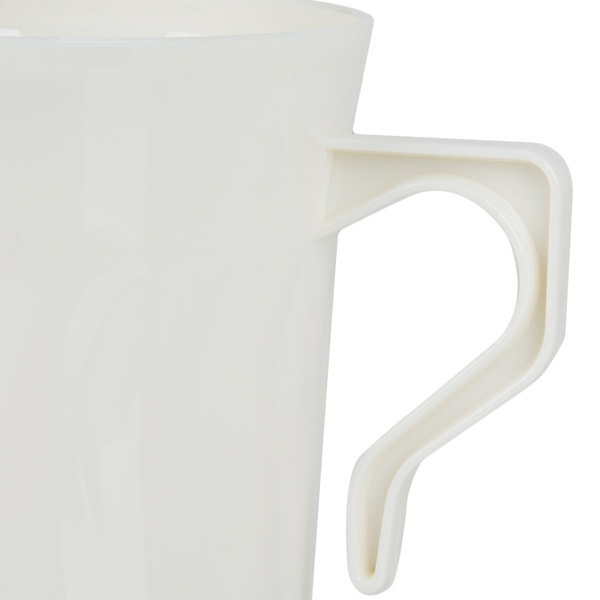 mug brings you the convenience of plastic with a classic look. "Nice quality and perfect size! So many plastic coffee cups are way too small, but these actually hold a whole cup of coffee and are comfortable in your hand. 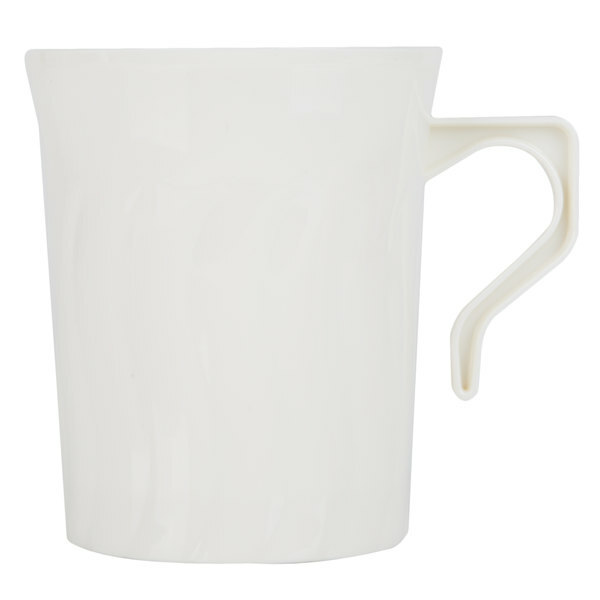 Great alternative to china mugs and a fabulous value!" Its classic styling makes it an elegant addition to your table setting at catered event. 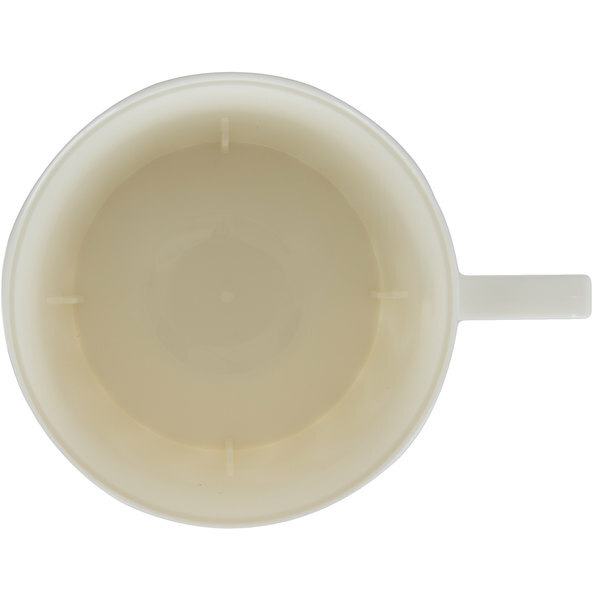 Cleaning up is a breeze thanks to the disposable construction; simply throw the mug away after use, it's that easy! Top Diameter (with handle): 4 1/4"
For anyone doubting wether to buy the full case or not, let me tell you, do it! 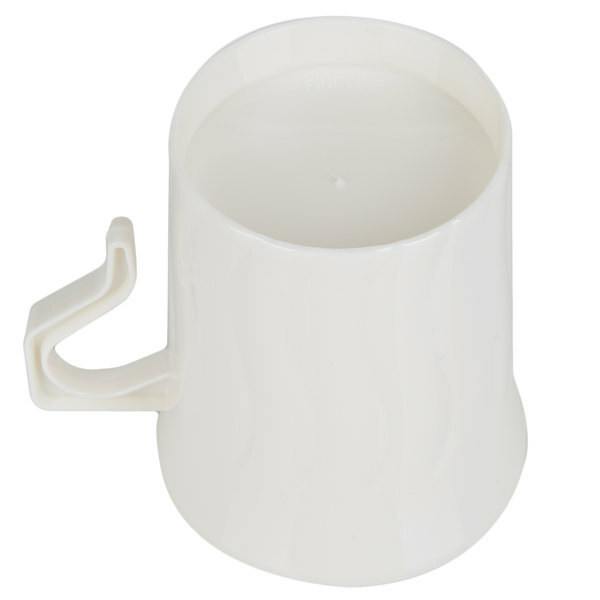 These are sturdy, they hold hot liquids & are very elegant! Used the Fineline Flairware Bone 208-BO 8 oz. Plastic Coffee Mug - 8 / Pack to serve black raspberry sparking water with juice. Give your guests who don't drink coffee a nice mug of refreshing black raspberry sparkling water with juice. I wanted something better than the regular coffee cups that you get at gas station. These cups added a nice touch to my catered event. Nice quality and perfect size! So many plastic coffee cups are way too small, but these actually hold a whole cup of coffee and are comfortable in your hand. 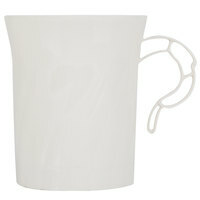 Great alternative to china mugs and a fabulous value!